Marydale Entrata (born May 6, 1997 in Mambajao, Camiguin, Philippines), better known as Maymay Entrata, is a Filipina actress, recording artist, singer/composer, model, product endorser/ambassador and the first Big Winner of the combined edition of Pinoy Big Brother Lucky 7 (combined housemates - celebrity, adult and teens) on the Pinoy Big Brother reality show. She was born on 6 May 1997 in the municipality of Mambajao, Camiguin and grew up in Cagayan De Oro City, Philippines. She and her brother were raised by their grandparents, as their father had left their family and their mother worked abroad. She auditioned for Pinoy Big Brother: Teen Clash 2010, The Voice and Pilipinas Got Talent, but was not successful. In 2016, she auditioned for Pinoy Big Brother Lucky Season 7 and was chosen for the Teen Edition. Maymay was the Lucky Teen Housemate chosen by the Celebrity housemates after accomplishing 6 out of 7 lucky tasks to become a fully pledged housemate for the Teen Edition. She entered the house a day after the two Celebrity Housemates, Jinri Park and Nikko Natividad & McCoy DeLeon were announced as the two Lucky Stars finalists. On Week 19, Maymay was left for another week with Yong Muhajil on the nominations' list for the third Lucky Sun slot. After a week, Maymay won with 57.57% of votes while Yong got 45.43% of votes, making her third teen housemate to be have a spot for the eventual Dream Team Chapter. Throughout the Dream Team, she maintained her "safe" status and avoided the nominations block all throughout until the Big Night. On Day 228 of Week 34, she was proclaimed as among the Lucky 7 Dream Team Finalists to continue on the Finale. On the evening of March 5, 2017, Maymay ended up on the final two with Kisses where she received 42.71% of votes over Kisses who got 31.27% of public votes, making her the winner of the longest season in the history of Pinoy Big Brother, beating 30 housemates in total. On June 2017, she continued to expand her career as one of the official cast members of the popular television series La Luna Sangre, with a supporting role as "Apple Toralba". Her self-titled musical album was also released on June which earned herself a Gold Record Award on the first day of its release. 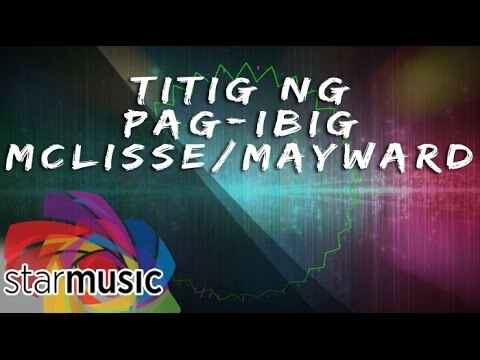 On August 2017, she was also a big winner at the MOR Pinoy Music Awards 2017 awards night after receiving the Best Collaboration trophy for the song Baliw which she recorded and performed with Edward Barber. On September 2017, Maymay Entrata and Edward Barber, popularly known with their loveteam "Mayward", played the lead roles for their first ever film since they left PBB, Loving In Tandem that was released September 13, 2017 nationwide. Eventually, she received the Platinum Award for her self-entitled album (which was released on June). On October 2017, she won the Best Novelty Song Artist of the Year award from Eduk Circle. A week after, MayWard got their first plaque on their breakout win as the Push Group/Tandem during the awarding ceremony of PUSH AWARDS, an annual digital media event of ABSCBN held at the ASAP Chillout. Their fans, the MayWards, also captured the Ultimate Fan Award for posting the highest number of tweets among all fan clubs during the seven-week voting period. ELM Tree Foundation was a charity organization founded by Maymay, Edward Barber and Laura Barber. Fresh from Pinoy Big Brother house, he together with on-screen partner Maymay Entrata joined McDonalds family as the newest endorsers of the new Creamy McFreeze.They also became one of the newest endorsers for Bench (Philippine clothing brand).MayWard joined the launching of Ariel Philippines new product, the NEW Ariel with Downy Parfum last May 18, 2017 with the #ArielWhatAFeeling trending nationwide. Maymay was also one of the new endorser of Vivo Phone Company and Broadway Gems. Edward John Barber (born July 15, 2000 in Germany), better known as Edward Barber, is a British-Filipino actor, model, product endorser and the fourth Big Placer of the reality show, Pinoy Big Brother - Lucky Season 7 in 2016. Edward John Barber, better known as Edward Barber was born on July 15, 2000 and was raised in Germany. His mom is an Ilocana, while his dad is British. He has a sister, Laura, who currently attends a University in the United Kingdom. Before his rise to stardom, Edward was just an ordinary teenager with ordinary everyday problems. When he was approached by an ABS-CBN staff member in Germany, he decided to audition for Pinoy Big Brother: Lucky Season 7, to get a chance to meet his celebrity crush in the Philippines, Liza Soberano. He got accepted, and was the second teen housemate that was introduced right after his eventual loveteam partner, Maymay Entrata and eventually became part of the Dream Team. He was dubbed as the "Cheerful Charmer ng Germany" because of his cheerful personality that surely won the hearts of many. Inside the house, Edward exemplified leadership and maturity that's expected from men way beyond his age. 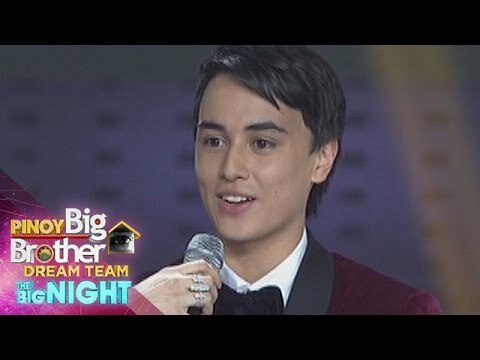 Throughout the Dream Team, Edward maintained his "never nominated" status and it was further sealed when he became part of the Dream Team's Lucky 7 Housemates that would go on to the Finale Night. In one of the tasks, The award-winning director Rory B. Quintos was so impressed with Edward's acting that she referred to him as "The Next Big Superstar." At the Big Night, he was announced as the season's 4th Big Placer. On September 2017, Maymay Entrata and Edward Barber, popularly known with their loveteam "Mayward", played the lead roles for their debut film, Loving In Tandem that was released September 13, 2017 nationwide.Right after, he got a cameo role in the box office hit film Seven Sundays. On October 15, 2017, he was recognized as Push Personality Newcomer during the awarding ceremony of PUSH AWARDS, an annual digital media event of ABSCBN held at the ASAP Chillout. The tandem of Edward and Maymay Entrata, meanwhile, enjoyed a breakout win as the Push Group/Tandem. Their fans, the MayWards, also captured the Ultimate Fan Award for posting the highest number of tweets among all fan clubs during the seven-week voting period. He joined Maymay to make a teleserye debut on the highly-anticipated horror-action fantasy drama television series, La Luna Sangre topbilled by Kathryn Bernardo and Daniel Padilla. Fresh from Pinoy Big Brother house, he together with on-screen partner Maymay Entrata joined McDonalds family as the newest endorsers of the new Creamy McFreeze.They also became one of the newest endorsers for Bench (Philippine clothing brand).MayWard joined the launching of Ariel Philippines new product, the NEW Ariel with Downy Parfum last May 18, 2017 with the [#]ArielWhatAFeeling[/#] trending nationwide.